Hello everyone. Some of you may already be aware of this map from when I posted about it a few weeks back. I took a little break from it to work on some other projects. Then I worked on about 5 or six different projects, got bored with each one, and now I've decided to so some more work on this one. However, I was reading some reviews and feedback threads for other diplomacy maps that used a similarly long list of bonus values, and there were some people who were critical about the imbalance it causes. So, I'd like to get some thoughts about this. Should I condense the bonus list down to 10 or 5 numbers? Should I use some other metric instead of Population like GDP to determine bonus values? GDP ends badly because USA. Halve all your bonuses at least. That actually has quite a bit of potential. My only complaint is that I REALLY don't like Population as the base for the bonuses. Economy or military power fits in so much better. And I support lowering the bonuses down to 10. Rarely have it go past that. You COULD add some exceptions where a bonus is worth 11 for very important spots like NYC, London, Berlin, Beijing, ect. Also, PLEASE, for the love of everything that is holy, redistribute Poland. 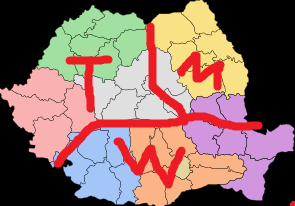 You could turn Poznan and Lodz into Silesia (Breslau if you want a city name) and Pomerania (Szczecin), and then put the leftovers from these two into a single territory (which could be named Poznan). This is because the distribution is very wanky (makes poland look very weird) and makes it awfully hard to make scenarios in it. Seriously. I really don't see Military power as feasible for bonus values. Most militaries are national, and it's pretty rare for individual regions like states or other subdivisions(which is pretty much what the territories are) to have their own armies. I could see either doing GDP PPP or nominal though. I may make a test version with these tonight. I can redo Poland, but probably not in the way you've presented. Territories have to be a certain size for the map to go public, and the way I have them those two territories are just big enough. No way can it be further divided into three. Also, I'm kind of curious why poland receives all the criticism? is is the only thing that's wonky on the whole map I've done so far? Make Australia actually worth starting in, and not a backwater that's almost impossible to win from. Military will result in a map that is stupid unbalanced. Off the top of my head, the top four nations in the world by total military are the koreas, Vietnam and (oops) India. Romania: Transylvania, Wallachia, Moldova. Would work better for basically anything. The current distribution seems awfully random. Portugal and Spain: I think Azores and Canarias would do great sea connections. A bit of nitpicking, but the border between Coimbra and Lisboa should be pushed down so Lisboa is part of the middle one, and the southern one should be Algarve. The distribution, much like in Poland, is very, very wanky this way. Last but not least, if you're using local names (I assume so, since polish clay is in polish language), rename Lisbon to Lisboa. Serbia: Rather funny that Kosovo is integrated, but Western Sahara is not part of Morocco. Them both have a lot of recognition, but not by the country that they are breaking from. Even worse, Kosovo is more or less autonomous, the SADR is not, so I don't think it makes sense with this inconsistency. Serbia would ideally be split into 3, at least. Serbia proper (Belgrade), Kosovo (Nis) and Vojvodina (Novi Sad is the best that comes off my head, unsure if it's even in vojvodina). Syria: We all know how everything there is going to utter sh*t. Deri ez-zor could probably be split in two to better simulate the situation there and make kurdistan/ISIS on templates come off more smoothly. I suggest you split it up in Rakka/Al Raqqah and Deri ez-zor. Poland is probably the most wonky one. In addition, Poland plays an important part in history (of Germany...) and their territories would look better like that. when the map is finished and you make a 40 person diplo, invite me. I probably could make romania 4 territories instead of three, but like I said territory size is a big factor here. I'm not exactly sure where those four you proposed would go, do you have a map or anything? Okay, so here's the deal just to straighten out all the confusion. Only small countries, like Syria, the Netherlands, England(Not the whole UK, just england), and Portugal are arbitrarily divided. 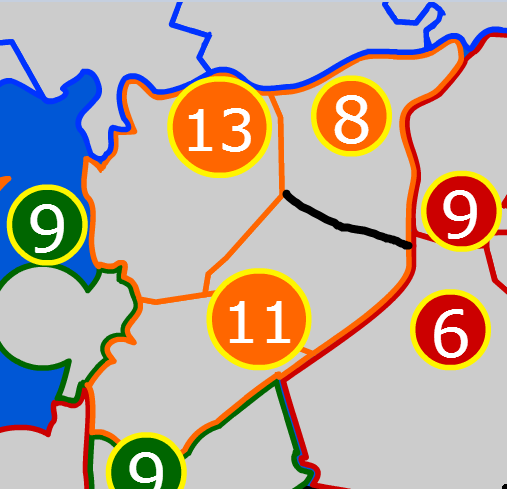 The rest are actual administrative or combinations of administrative divisions. That being said, I probably could move the border down a bit, but I'd have to check if it makes the territory below it too small first. I'm really terrible about consistency between different languages lol, and that's proably because I get all of my names off of either google maps, or english wikipedia, so my guess is that google maps uses english names and wikipedia native ones. This one is actually just kind of OCD on my part. But here the reason is. Alright, so for the most part, I've represented really tiny countries with circles. this works fine as it increases the territory size, and it doesn't really detract from the look of the map or make it look geographically inaccurate. However, in the case of kosovo, it was bordered by Motenegro and FYROM, and I just couldn't even stand to look at it. Of course this is a practical reason in itself as serbia is already very small, and a circle takes away Way too big a chunk of its land. And overall I just don't want to be caught "saying" to serbs that "albanians rightfully own all of southern serbia", when in reality Kosovo is just too small. The latter is much easier to justify IMO. As for western sahara, literally no country recognizes moroccos claim, so there's really no reason to include it. On the flip-side, Kosovo is very controversial with a pretty much 50/50 split on opinion throughout the world, and like I already explained including Kosovo is way more controversial than jsut adding it's real extent as a territory on the map. I can't make syria more than three territories, since Like I've already explained territory size. If you'd like to offer just three alternate territories than I can do that though. Alright, back from a nice dinner. Let's burn it. You don't really need to split it more, just re-organize it. Wallachia, Moldova and Transylvania, in history, were pretty noticeably different from each other. Your distribution right now is more like "southern transylvania and western wallachia", "eastern wallachia" and "moldova and northern transylvania", which ticks my OCD a bit and doesn't help much in scenariomaking. Probably not, the difference is minimal. You pretty much just need to stretch it south a bit more so that little bay is entirely in the northern one. Hahah yeah, but don't worry. If you ever need help with renaming stuff in native language, I'm sure we have some freaks around to cover most of the languages. Juq will probably be posting soon-ish shoving in some slavic/turkic names their correct way, and such. And overall I just don't want to be caught "saying" to serbs that "albanians rightfully own all of southern serbia", when in reality Kosovo is just too small. The latter is much easier to justify IMO. Well, you have Crimea under Russian control, and it's using Russia's color (green, also used in Kaliningrad). So, yeah. If anything, you could keep Serbia's color or just give it an entirely new color, different to the one in both Albania AND Serbia. Black, maybe? And then use it for all sorts of disputed territory (like Crimea and Western Sahara/SADR). Edit: Forgot to add a small map on how it could look like. 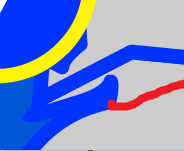 Plan is to remove the current inner border and change it to this one. Seems Vojvodina needs more clay though, as they are hard to place on the map. So sticking to Kosovo. Kosovo is much bigger than it really is so it fits, and it's not too unpleasant to look at. With Vojvodina in case you want to try it - but that'll need that bonus thing to be moved a little. Also exagerated for space. I don't think so. Just draw a line like this, should still be bigger than several other territories and as such, valid. It might need you to rename stuff, though, as in this suggestion both Rakka and Deri ezzor are in the same territory. I'd say Rakka take priority on the name since Rakka is more important in many ways. Rakka is an important historical city as one of Syria's biggest eastern settlements, the only reason Rakka's population is rather shrank right now is, well, it also happens to be the new capital of the Islamic State. Which only makes it more important. Oh yeah - Also, if possible, when it's coming together, if you want, I'd love to help testing it. Your maps are pretty enjoyable and now you're taking on a project that I've been waiting for a long time - a world map with single territory bonuses that is bigger and hopefully better than WN2012/WN2014. It seems pretty similar to what you said to me, but I do need to read both more carefully. Does his seem alright with you? If so, I think i'll just use his solution. I desperately want to test this. It looks awesome. Also, you may need to watch out for places such as Europe or America. 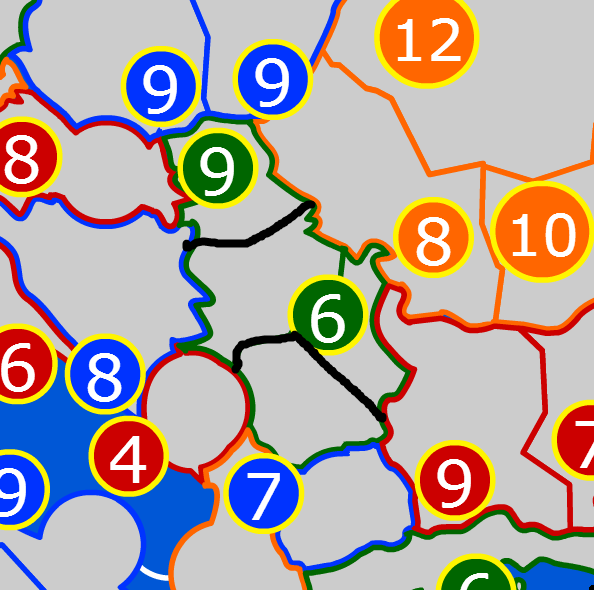 Lots of large cities close to each other tends to unbalance games. It's very similar. The one difference is that in my suggestion I pretty much put Dobrogea and Wallachia together, as he suggested if it ended up being too small. His opinion is EXTREMELY SIMILAR to mine. Anything with Austria gets wonky in WN2014 (and would get in your current Romania). It's also the reason I suggested those changes to Poland. Germany, pre-WW2, looks awfully wonky with that huge f*cking "Poznan" in WN2014 map. 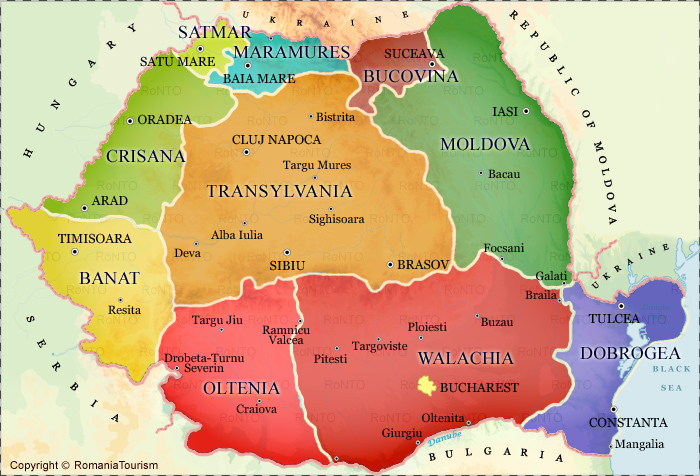 The biggie for me was not the existance of a Transylvania territory, what I really wanted to be not wonky was mostly Wallachia, and a less wonky transylvania would come by naturally with that. It helps a lot for Austro-Hungarian Empire (or just pre-habsburg Hungary in general). Take a look at this. Transylvania still under Austria, while the rest forms the nation of Romania. This, and pretty much every single combination that involves romanian land, will be very easy to make. Having Dobrogea would open some more possibilities, but just having the three major parts of romania under that arrangement is GREAT and helps a lot. Dobrogea is asking a little bit too much due to it's awfully small size, so unless you're playing with someone that is one big nitpicker, it's great as-is. Zeph, is just nitpicking about teritory borders, because he can include pictures. It depends on what you mean by "Steal" lol. Alright, so I'm having a lot of trouble finding GDP info for Norway, and I don't even want to imagine finding it for obscure third-world countries. If anyone has ideas for good sources for this info, be sure to let me know and Maybe i'll try to work on this some more. I'm not sure how much you trust Wikipedia, but it took me literally 40 seconds to find complete information on Norway. Edit: I just opened the map and saw the changed I suggested in Poland! :D It looks so much better now! I found that, but Its use is really kind of limited since I used counties of norway rather than regions for the territories on my map. I suppose I may be able to kind of get a rough idea from it, but it's not something I'm really looking forward to. About Naminig territories, name Constanta -> Bucharest , and Bucharest->Cluj Napoca (cause the position of Bucharest territory is a bit odd . Is this a continuation of your previous attempt of Belgian Gentleman's SVG? The only way I could think of balancing China and India is to cap the income per territory at 15, although you still might have to mix in GDP and military. No, I'm redrawing mine completely from scratch. I was partially inspired from Belgian Gentlemans map, but other than that it's a completely original work as far as me drawing the SVG. I'm currently working on doing it based only on GDP rather than population using a 9-tiered system of bonus values. I posted the link above so you can take a look, but I have only done the UK, Ireland, Belgium, and the netherlands so far. 1) You can decline to create a single national bonus for China OR India... not ideal. 2) You can still take into account land area, uninhabited land, sea access, coastal zones, etc. the Artic Ocean limits Russia and Canada in the real world, as do the Himalayan Mountains for China, India, and others. 5) You could ignore the real world treaty saying that Antarctica will only be used for small scale scientific research, and instead give portions of it to each of the Southern Continents. can india and china feed their people through a war without the risks of a significant drought? let alone with their immediate neighbor of comparable muscle? I suggest you do the bonus names as the English exonym, and the territory name as the autonym. Poland still looks terrible, especially the middle territory. At least make the shapes a bit more regular, really. No need for administrative correctness, just make them look aesthetically, please. Poland looks fine to me. I can probably do this, but It may be a bit troublesome for places that don't use Latin-based alphabets. I'd have to look into it more later, but that's the first thought that comes to mind. 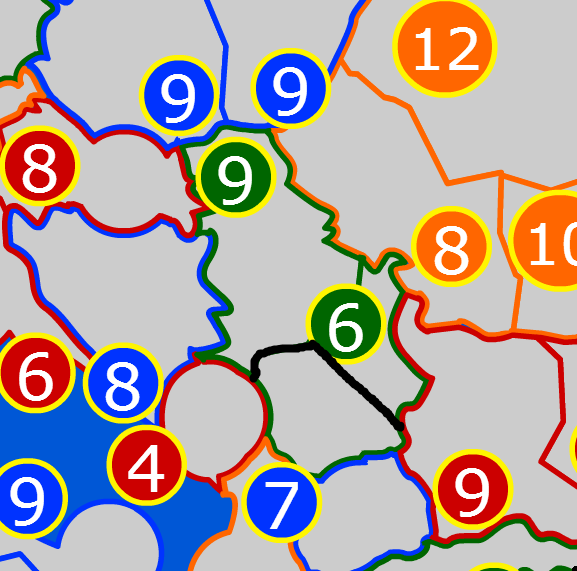 The reason I pretty much need to use administrative divisions is to be able to collect statistics and use them as Bonus values. It's pretty hard to find the GDP of "This random spot I drew in the center of Poland".